The pattern of content consumption has changed markedly in the last two decade. From mobile phones in the 90’s to smart phones to smart TVs, the demand for smart connected devices continues to grow. According to a Gartner consumer survey, worldwide, by 2018, 87 percent of the TVs shipped annually will be smart TVs. 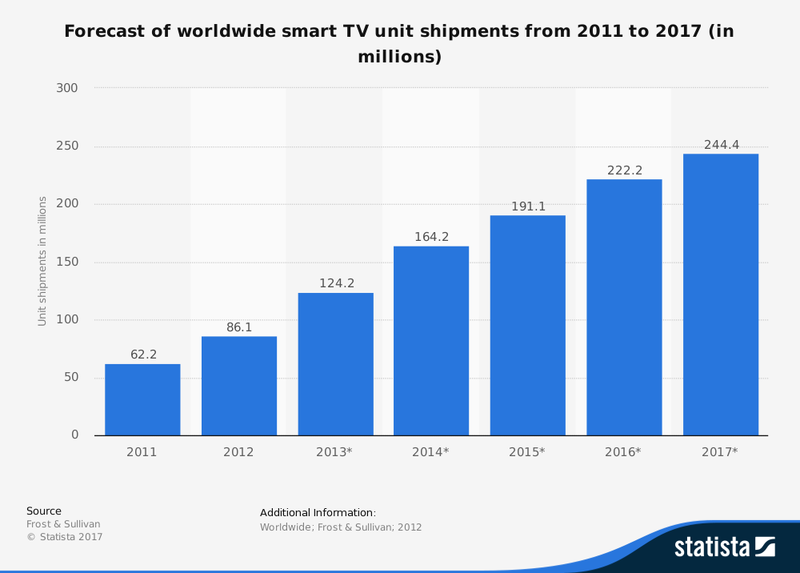 The figure below indicates the steep rise in the demand for smart TV from 2011 to 2017. More and more brands are foraying into the smart TV app market. Entertainment and games are the biggest chunks of apps on Smart TV app stores, followed by social network and shopping apps. Apple TV is scaling up big time, and Android TV has seen about 5-10 million app installs to this day. Great user experience is the definitive factor for the success of TV apps. Faulty apps with errors and bugs can play havoc with a brand’s reputation. Therefore, it is important that app developers conduct rigorous testing before pushing their apps on smart TV app stores, as the cost associated with testing is way less than the cost accrued in finding and fixing bugs and errors post production. Testing Smart TV apps is a different ball game altogether when compared to testing mobile and tablet apps. Therefore a significant shift in testing approach needs to be made for testing and QA of smart TV apps. User perspective is an important consideration for developing smart TV apps. Hence interface testing with people is important. While automated testing and emulators have become a norm nowadays given the amount of time it saves for testing the varied use cases, manual testing should be complemented to consider factors that automated test environments cannot. The size of the screen, distance between the user and the screen are important considerations while testing the visual rendering, image size, and placement of elements on the screen. Emulators are not as effective when testing design and layout. Therefore it is always better to use real TV. It is important to test out the UI in multiple settings. What makes Smart TV apps testing more complex is the availability of a sheer number of smart TV vendors, numerous versions, and models, the number of testing platforms and Operating Systems. It is essential for app providers to get their application tested for the particular Smart TV model, the platform used and the operating system/ browser that it supports. Usability- Testers need to look into the seamlessness of the app experience from the end-user perspective. Developers and testers should focus on keeping the app experience minimalistic with single click functionalities, which means a minimal number of buttons on the remote. 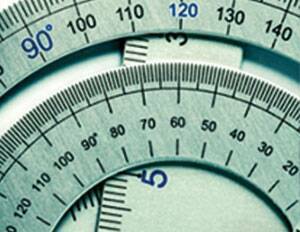 Navigation should be simple and easily comprehensible, visual rendering should be of high quality, sharp (alignment and spacing should be taken into consideration) and should adjust as per the screen size available and resolution should be optimal. Loading and buffering should be indicated by the loading indicator and the search capability should allow enriched browsing and content discovery. TO THE NEW has expertise in Smart TV application development for Android TV, Apple TV, Amazon Fire, and Roku TV as well as on Samsung Native, Samsung Tizen platforms. Recently, we developed Jadoo TV’s smart tv applications for 7 different platforms. Jadoo TV delivers Live and On-Demand content to viewers via its proprietary Internet based set-top box (STB). The client wanted to take its services to Smart TV viewers for higher engagement. We custom developed a highly engaging and intuitive app for seven platforms including Tizen, Samsung Orsay, LG, Roku TV, Android TV, Amazon Fire and Apple TV. We used platform specific languages such as Java, HTML, Brightscript, and Swift followed by rigorous testing before going live with these applications on respective stores. Smart TV app market is growing rapidly. Apple, Android, Roku, Tizen, LG, Opera and others are coming up with new features every passing day and their quality checklist is getting rigorous. Brands looking to enter the smart TV app market needs to focus on delivering a quality app to the app stores. Hence, developing multiple test case scenarios are of primary importance. Monkey testing does not investigate all test case scenarios as only certain test cases are picked up randomly by the testing team. If even a small bug is missed, it can compromise the end-user experience. Some of the companies offering Smart TV application development service also invest in Smart TV lab so that the testing is seamless and all the bugs are fixed across platforms and TVs. As there is a lot of effort in developing Smart TV app, it is imperative to go through platform guidelines thoroughly for avoiding future rejections and rework. If you have some more insights and interesting use cases on smart tv application testing, please feel to share them with us. You should try Suitest. It helps automating tests for smart TV and saving a lot of time.